San Antonio (Catalan: Sant Antoni de Portmany) is a city and municipality located on the west coast of Ibiza in the beautiful bay of San Antonio. With its 22,000 inhabitants, it is the second largest city on the island. “De Portmany” refers to the name the Romans gave to the city: Portus Magnus. The city is built around a marina and a beach. There is also an entertainment district with many bars, clubs and restaurants. San Antonio is primarily a popular destination for British youth, who visit the town in large numbers during the summer. This is why San Antonio is sometimes avoided by other tourists. This is not completely justified, since San Antonio is also home to the world famous Café del Mar and Bar Mambo, where every day hundreds of people gather to admire one of the most beautiful sunsets in the Mediterranean and to listen to the many famous DJ’s who accompany this spectacle with their music. There are also several excellent restaurants located in and around the city. 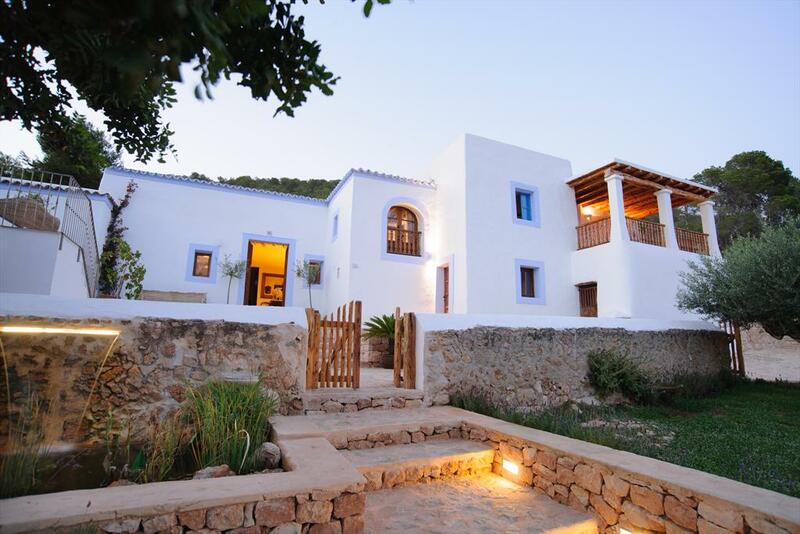 The area around the bay of San Antonio is one of the most beautiful on the island and there are many exclusive villas and beautiful beaches such as Cala Bassa, Cala Comte and Cala Salada. 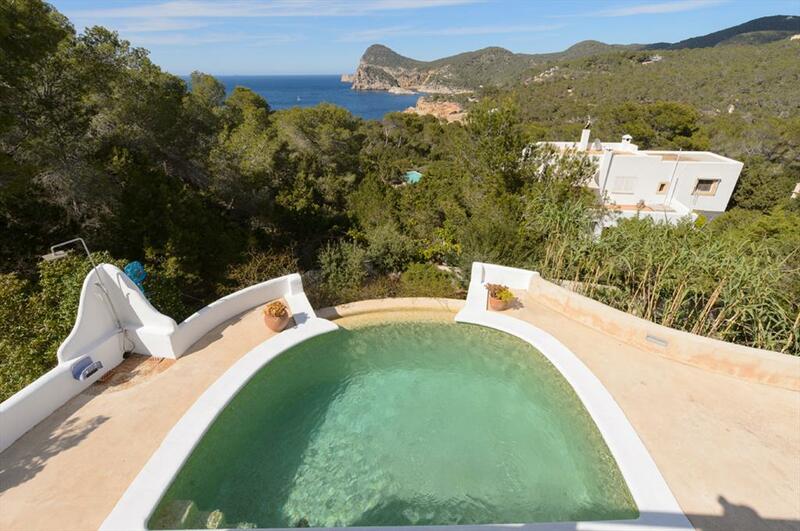 Beautiful and comfortable villa with private pool in San Antonio, Ibiza, Spain for 11 persons. 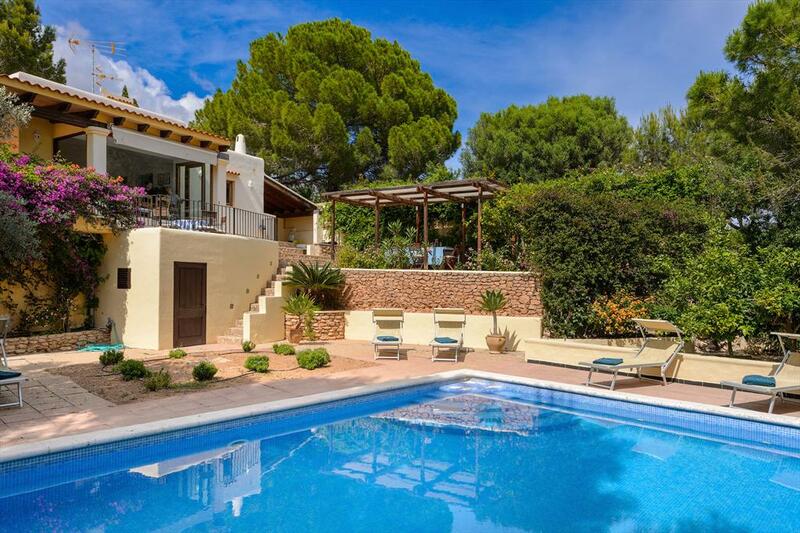 Villa in San Antonio, Ibiza, Spain with private pool for 8 persons.